Kapalua Resort is located in Lahainia on Maui’s northwest shore and is home to two golf courses – the Bay Course and the Plantation Course. The Bay Course is the older and most mature of the two. Since it opened in 1975, the beautifully landscaped and perfectly manicured Bay Course has played host to more professional tournaments – over twenty – than any other course in the Hawaiian Islands. It hosted the first live prime-time televised golf event, the 1983 Kapalua International, as well as the 2008 Kapalua LPGA Classic. Some of the best golf players in the world have played, and many have won, at Bay Course. Greg Norman had his first American win here, David Llwellyn and Ian Woosnam from Wales were victorious in the World Cup of Golf at Bay Course, and Morgan Pressel had a thrilling victory at the Kapalua LPGA classic. Fred Couples and Davis Love III, two of the most popular PGA players of all times, were twice victorious at this course. With its unique layout, this 18-hole, par-72 championship course snakes its way along amongst tall palms and flower-laden hibiscus. 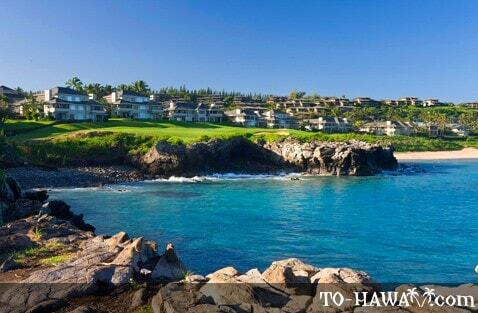 Designed by Arnold Palmer and Francis Duane, this course features some of the most stunning ocean holes in Hawaii. The fourth and fifth holes are located close to the seaside. 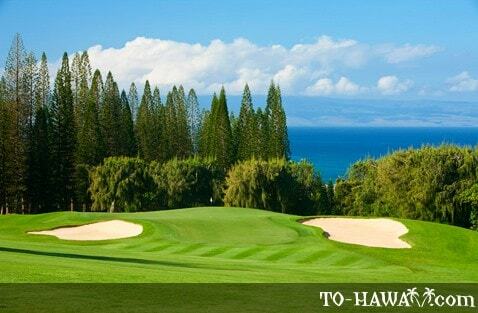 Of the two, the fifth is especially breathtaking and the only one in Maui to play over the ocean with the tee on one side of an inlet and the green on the other side. One of the best par-4s in Hawaii can be found at the 16th hole, which requires players to hit over a pond to a split fairway. Many of the remaining 15 holes provide pleasant ocean views as well as a glimpse of Molokai across the Pailolo Channel. A course of great beauty, Bay Course should be on every golf enthusiast’s "must play" list. The Golf Academy and 23 acre practice facilities at Kapalua were designed by PGA professionals and are the most state-of-the-art to be found in Hawaii. Beginners and experienced players can get individual or group instruction in every aspect of the game – chipping, putting, wedge play, bunker play, full swing, and specialty shots. The golf shop, from which items can be purchased online, stocks a wide range of merchandise including men’s wear, women’s wear, equipment, gifts, and more. A number of dining options are also available at Kapalua, from local "plate lunches" to gourmet Asian, French, Italian, Mediterranean, Pacific Rim, and fresh Hawaiian fare. The resort also caters for golf outings and other special events. 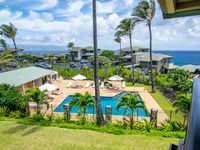 Kapalua Bay Villa Gold Ocean Views! Cancellation Special June 14-22! 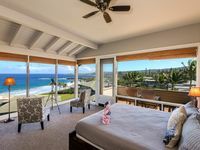 Kapalua Bay Villas 17B-3! 1BR/2BA Oceanview! 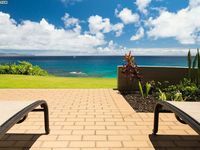 Kapalua Bay Villa Gold Breathtaking Ocean Views! Direct Beach Front Location! 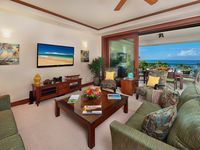 Direct Beach Front Gold Ocean Views from Every Room!